On Sunday, 18 November from 14.00 to 16.00, the BUWOG Group will provide on-site information on the future use of the location during inspections of the construction site and discussions in the information office (Lückstraße 30, 10317 Berlin-Lichtenberg). In the DAS LICHTENHAIN district one can get a look behind the scenes and find out about the project in guided tours of approximately 30 minutes. Here, a total of 207 condominiums are being built in the midst of a facility totalling an area of 19,000 square metres. 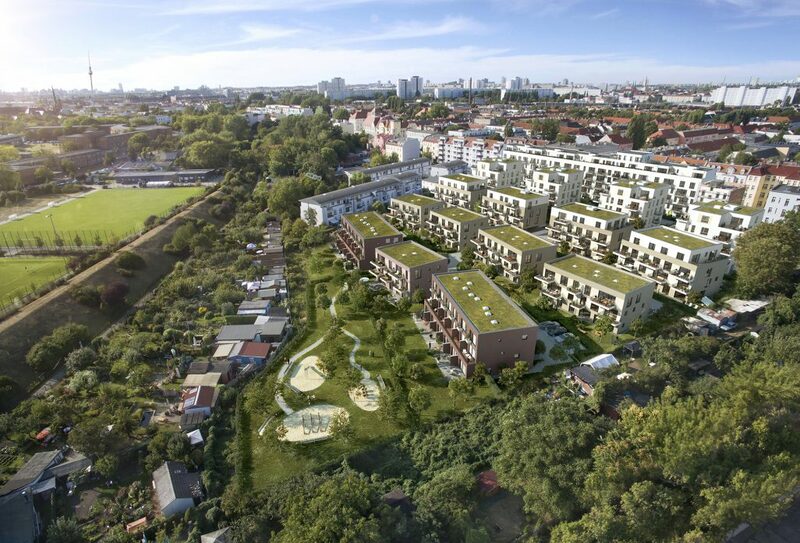 The park-like design featuring plenty of green as well as quiet zones and traffic-reduced streets for children to play on opens up behind the six-story gatehouse on Lückstraße. The houses with their green rooftops are all southfacing and eligible for funding in accordance with the KfW 55 efficiency standard. For cars, there are 112 parking spaces in the underground car park offering direct access to the individual buildings. This means the reduced-traffic street where children play is only rarely driven, creating a sheltered area for the youngest residents. The BUWOG Group project specialists will provide information about the future use, status of construction and development of Lichtenberg at this prominent location at the info day event on Sunday, 18 November 2018, between 14.00 and 16.00. Those interested are asked to gather at the information office at Lückstraße 30. The guided tours in small groups of a maximum of 15 people are free of charge and take about 30 minutes. Registration is not required.